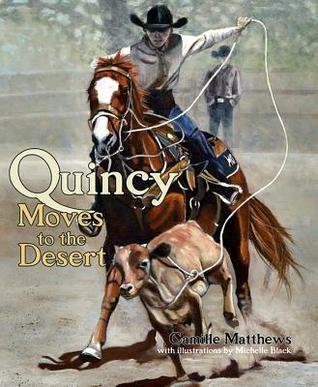 Fire and Ice is today’s stop on the official tour for Quincy Moves to the Desert hosted by Walker Author Tours. We have an exclusive author guest post from Camille Matthews as part of the tour. “Write about what you know” is such a longstanding piece of advice to anyone who is interested in becoming a writer that it has definitely become a cliché. That being said, like many clichés, there is more than a grain of truth in the idea. Here are 3 reasons that writing about what you know it great advice. One of the most important ways to hook readers is by offering them an emotional connection. What do we know better than our passion? Writing about what you are passionate about whether it is characters engaged in a fictional adventure, an important political topic like protecting and saving the environment, an amazing trip or the challenges of parenting, is the way to offer readers an emotional connection. This is a path to finding readers who will share your passion and value your words. Over and over readers say that what they want is characters they can care about. How do we as writers engage readers in this way? A great story is a complete experience that is more than the sum of its components because it is entered on the experiential level. Most great stories include a highly detailed description of the setting and scenes. Who can forget the experience of Scout and Jem looking down from the courthouse balcony to where Atticus and Tom sat at the defense table or the dewdrops shimmering on Charlotte’s Web? In order to create this kind of experience, one must truly know the situation in some way either through personal knowledge or careful research.